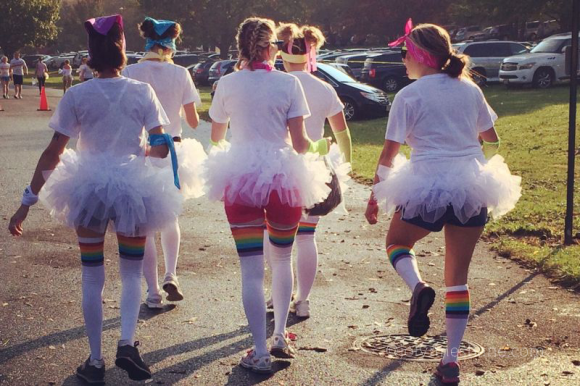 Running is Rad at the Color Me Rad 5k Tour 2015! Posted on August 12, 2015 at 3:01:00 am by Katie R.
I don&apos;t usually think running is very rad. It&apos;s never really been my thing. Give me 45 minutes of some high intensity Zumba, or put me on an elliptical machine and I am on fire! Have me jog for about 5 minutes and I&apos;m over it and will probably act like I am going to pass out. As much as I hate running, I do like to have fun, which is why this year I&apos;ll be participating in the Color Me Rad 5k on August 22nd! Color Me Rad is one of the great "fun runs" coming through Fort Wayne this summer. Run + fun, really? YES! While fun runs follow a similar structure of a standard 5k, these events add a little something special to the mix. Rather than focusing on race times, award winners and trophies, fun runs encourage EVERYONE no matter your running ability to get moving and celebrate friendship, health, and of course, FUN! Fun runs are known for their no pressure atmospheres, making them perfect for non-runners like myself. Runners are even encouraged to step out of the perfectly polished running outfit box, and mix it up! You&apos;ll see tons of colors, tutus, sunglasses and more! This year&apos;s Color Me Rad promises to be "Bigger Badder Radder" , while letting runners and walkers experience all of the bright colors and fun that Color Me Rad is known for. 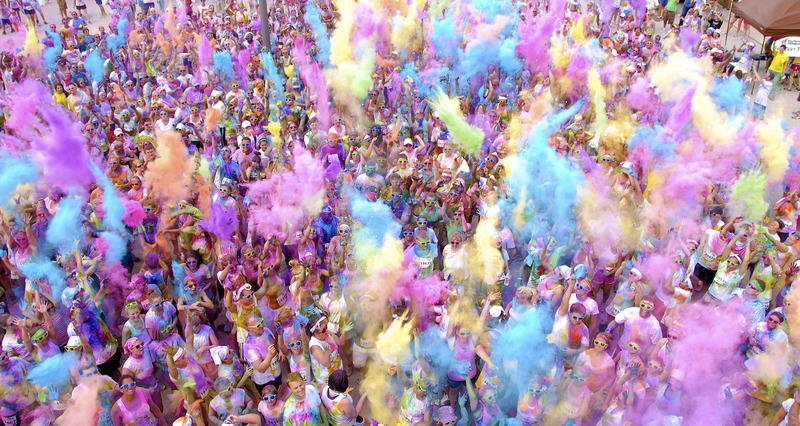 Color Me Rad is loosely based off of the Hindu Festival of Color - Holi. This year&apos;s Color Me Rad 5k route will feature 8 color stations, as well as new color gels to further brighten your run! To make it all even radder the folks at Color Me Rad are giving every participant access to FREE professional photos taken at the run, so you can have evidence of your rad time without spending a dime! The best part about Color Me Rad is that it is a party from start to finish. You&apos;ll kick off your run (or walk) fresh and clean and before you know it you&apos;ll be covered in color all along the route! Participants are encouraged to It all ends with a huge dance party at the finish line complete with food, music and even more colors! 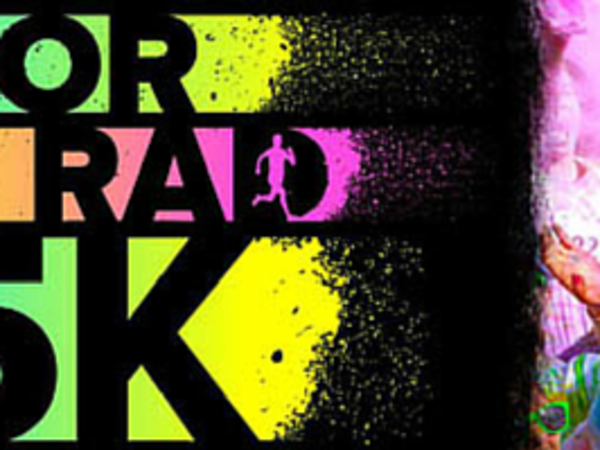 Color Me Rad will take place on Saturday, August 22, 2015 at the Allen County War Memorial Coliseum (4000 Parnell Ave. Fort Wayne, IN 46805) beginning at 9am. Registration is open, and can be done on the Color Me Rad website. 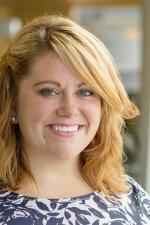 Online registration is $45 (plus service fees) until August 14. On-site registration will be $55 (plus service fees). Bring the kids along for the fun! Kids packs are $15 (plus service fees). For more information on the Color Me Rad 5k check out Visit Fort Wayne, or the Color Me Rad website. You&apos;ll find me there with my tutu on ready for a bigger, badder, radder time!